Today an estimated 36 million smart meters have now been deployed across the country, according to a recent report by the Institute for Electric Efficiency (IEE). The report goes on to project that number will rise to 65 million by 2015. 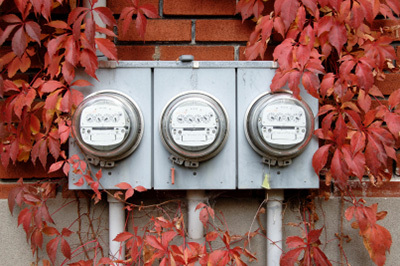 Ambit Energy alone has hundreds of thousands of customers currently using smart meters. How are they better? Do they really save money? And what are the benefits to Customers? These are a few of the questions we’ll address. First, the facts: Smart meters are digital gauging devices that record the amount of electricity or gas you use, then transmits this information to your utility provider in real time. Accurate, Real-Time Usage – Smart meters offer two-way communication that transmits your energy readings to the electric or gas delivery company throughout the day. This gives energy providers an accurate view of peak usage periods, as well as daily, monthly and seasonal trends and patterns. Saving Customers Money, Short- and Long-term – Customers who keep an eye on their usage can make simple changes that can lead to real monthly savings. Plus, the implementation of smart meters saves Customers long-term by eliminating outdated and high-cost processes like manually reading each meter. Energy Conservation and Reduced Pollution – Details on usage patterns and peak hours allow Customers to monitor their activities and modify any wasteful practices. Plus, smart meters reduce environmental impact by reducing pollution from vehicles driven by dispatched meter readers. Monitored systems with real-time data helps utilities identify and locate service issues faster, so repairs and local interruptions can be resolved much faster. System-wide grid management helps utilities take a proactive role in reducing power outages and potential brownouts or blackouts. Together, these advancements give the Customers and energy providers more flexibility, greater options and the potential for noticeable savings, month after month.